How do I transfer account ownership? Transfer or change account ownership to another member of your organization. As the owner of your organization (org), you may need to transfer ownership to another member of your team for whatever reason (i.e. Employment is ending, job role change, etc.). 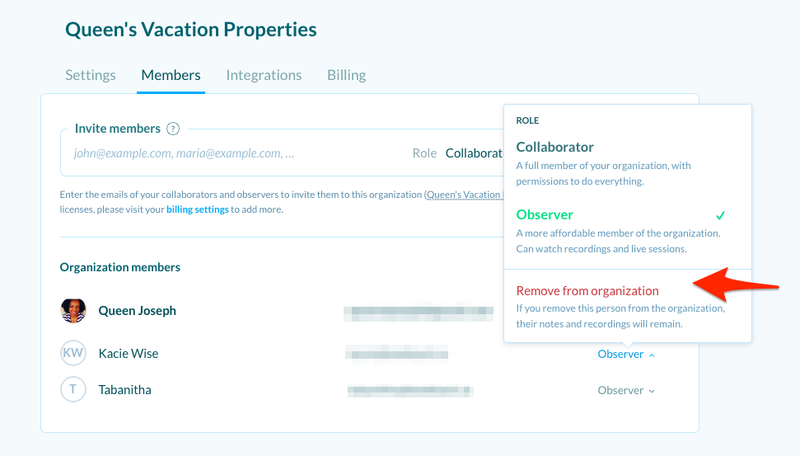 Please note in order to transfer ownership to someone else in your org the new owner needs to be listed on the Members page as either a collaborator or observer. If the new owner is not a member of your org yet, please invite them first. 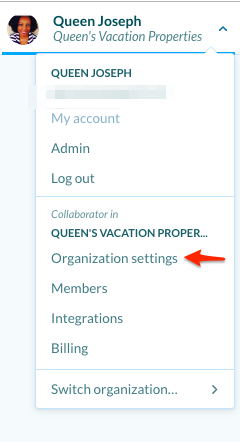 From the drop down menu, click Organization settings. Scroll down to Transfer ownership. Click Set a new owner. Click on the new account owner. The new account owner will receive an email confirmation from Lookback confirming the transfer of ownership. The previous account owner will now be listed as an observer. If you want to remove yourself from the org completely, click Members and then Remove from organization next to your name. For security and privacy reasons we can not transfer ownership without the original account owner's permission. If the account owner is no longer employed at your company and used a company email to set up the account, you can log in using their login credentials and update your org's information or reset their password. You may need to reach out to your IT department for access to the former employee's company email inbox. Once you've gained access to the former employee's inbox, you can follow the steps above to transfer account ownership and remove the former employee from the org. Please note if you are unable to gain access to the former employee's email inbox, you can create a new org account in Lookback. We highly recommend teams use a secured shared password and account information tool such as 1password or make sure the account ownership is transferred prior to the employee leaving your company. Please contact us if you have any questions. We're happy to help! What happens to the recordings, projects, and notes of members who leave or are removed from an organization?